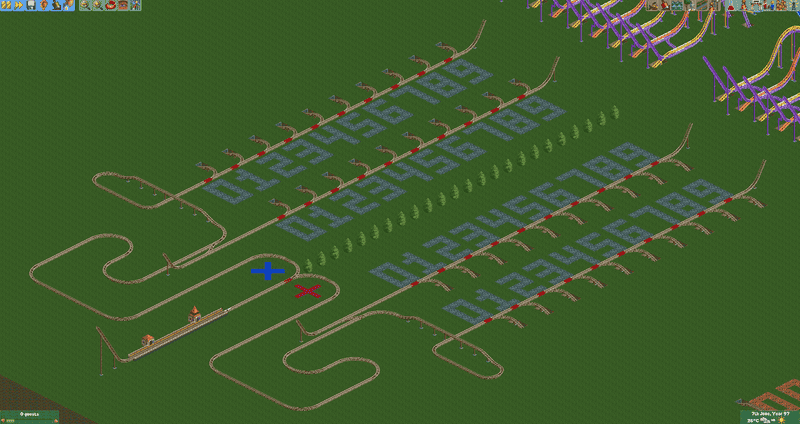 An intrepid RollerCoaster Tycoon player has made a working calculator out of roller coasters. This incredible build combines my two least favorite things: math, and dropping from somewhere high up. Most of the time when I play Rollercoaster Tycoon, I’m just trying to make roller coasters that don’t kill people. Redditor LordMarcel, however, has made a roller coaster that can add or multiply single-digit numbers, which is by far the most impressive build I have ever seen. LordMarcel goes into more details about how the calculator-ride works in this image gallery. The most amusing part of the process is that in order to get the correct answer, two train cars need to collide into each other, causing one of them to explode and sending the other to the correct answer. Math has never been so exciting or deadly. Marcel has provided a save file you can use to try out this calculator yourself. Update--6:11pm: This story was updated to fix the attributions of the Redditor and the tipster.